Starting off not so good. 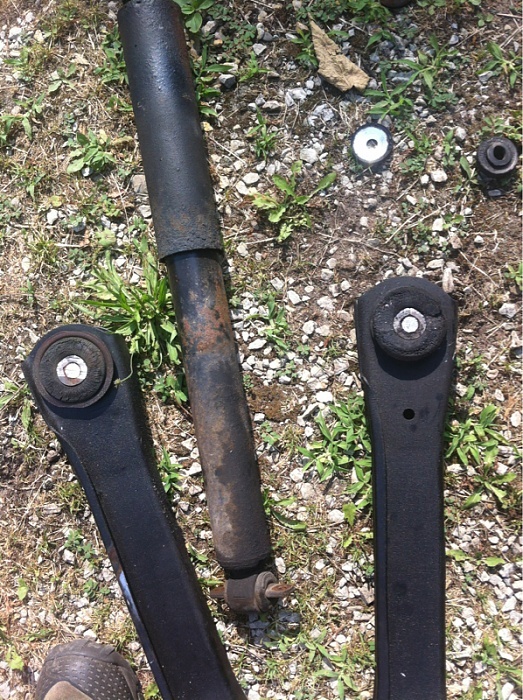 Lower control arm axle mounts came off no problem. 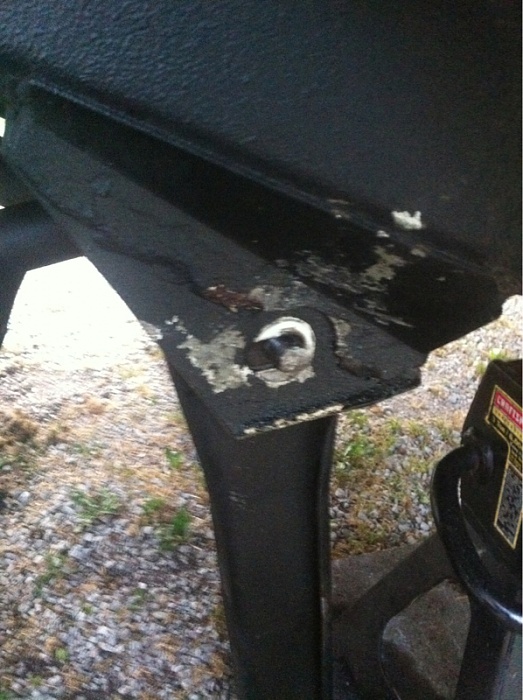 The unibody lower control arm mount is giving me a problem. The bolts are stuck in the sleeve. I got the nuts removed no problem, but the bolt doesn't want to come out. I used a pickle fork on the drivers side and got it so there is about a quarter inch of exposed thread left. I had to beat the crap out of it too to get it that far. 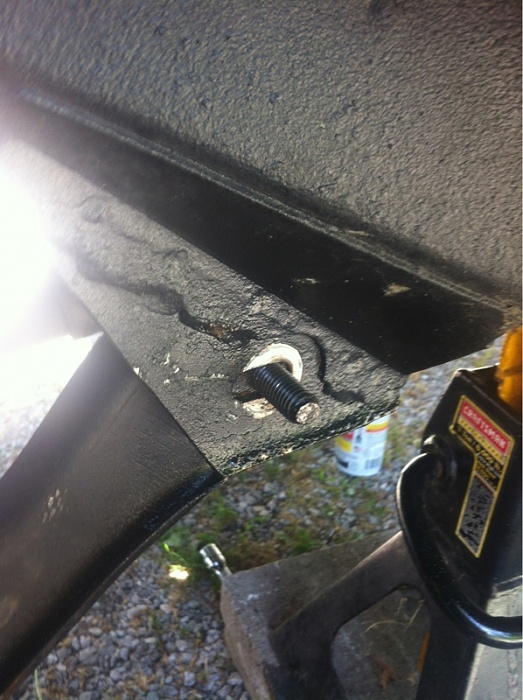 I got the inside nut with the little tab removed from the lower track bar mount, but the bolt is all seized too. It moves, but the track bar moves up and down with it. Same with the control arms, but on the one I made progress with it swings with no sticking. Kind of po'd because I thought the front would be easy. Now I can only imagine the pain the rear leaf front mounts will be. 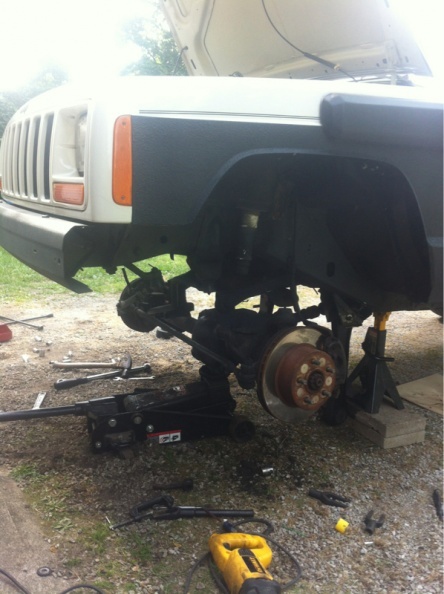 Just about every midwest XJ I removed those LCA bolts, I have had to use a sawzall and slice the bolt off. Then drive the remnants out of the bushing. Ending up using new grade 8 hardware and sleeves. Headed out now to get sawzall blades and bolts. I'm going to assume the leafs are just as bad. Here is what I came up with for bolts. Got a bunch of bold and blades! Almost done with the front. Just have to do track bar, sway bar and disconnects. 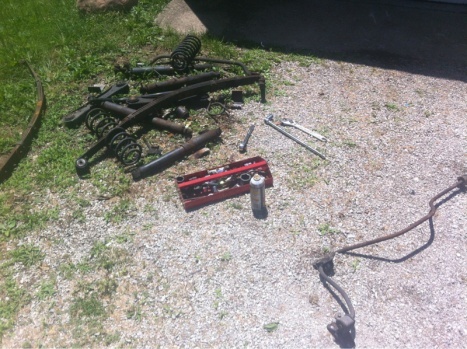 Still have to remove what's left of the front leaf spring bolt. 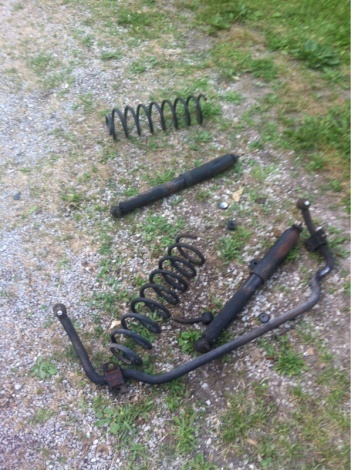 Then I can install the spring pack. All upper shock mounts broke, so I have to air hammer out the welded in nuts and whats left of the bolt and thread new ones down with a wire. Still have to get axle mount of track bar cut out. Still have passenger side spring to remove. This has been a total pain in the ***. Started on Friday, been working on it about 8 hours a day. Rain didn't help at all today.....This Jeep done kicked me in the nuts with cowboy boots. F it. You guys know the story. I got a lift, it was a royal pain in the *** to install. Photos of broken crap, multiple posts and then finally it was done. Finished for the most part. Just a few odds and ends tomorrow. 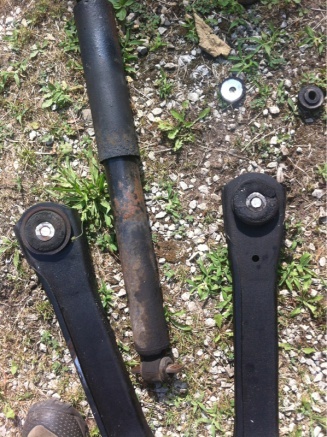 Rear brake line and track bar. Had to order a new bushing kit. 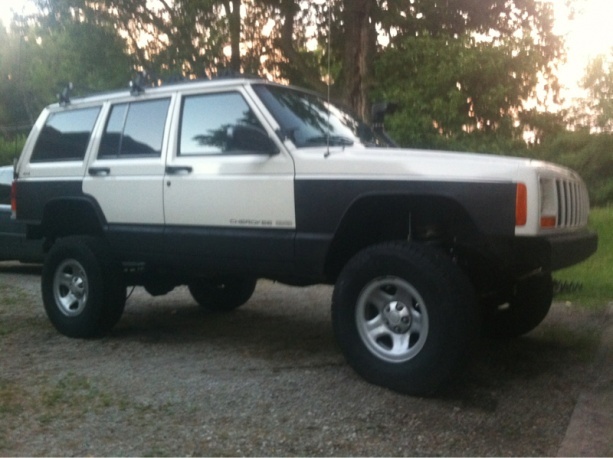 Jeep is looking good man. Seriously, this lift was a pain. 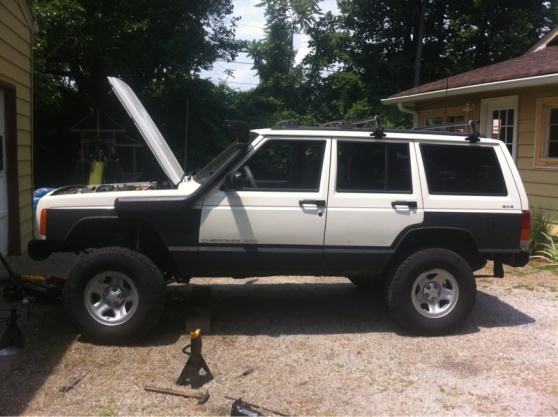 I installed a lift on a Nissan Xterra, torsion bars, a-arms, rebuilding leaf packs, etc that wasn't near as difficult as this XJ. PB Blaster and pipe wrench are my new friends!! If you didn't do it already, go buy a big bottle of anti-seize. Slather it on all the suspension bolts that were a pita to get out. Then if you ever need to get it back off, you're good. Here's all the left over junk. Trying to get rear sway bar mounts off so I can use them as bar pin eliminators on the rear shocks. 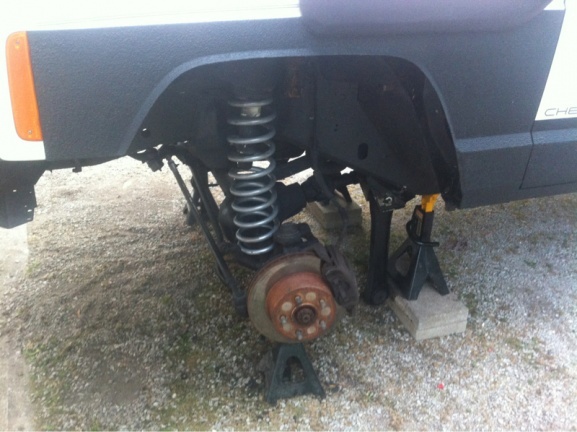 Have to pick up a rear brake line, attach that up, do the shocks and attach the track bar. Then I'm good to go get an alignment. 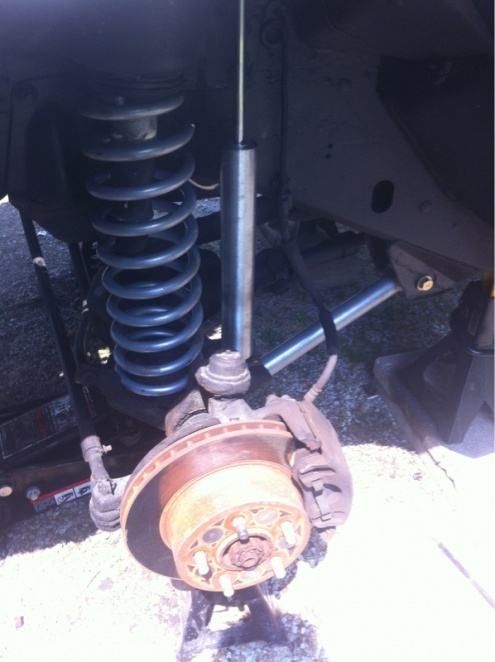 Just something I noticed when I did my rear sway bar BPEs. They don't orientate the shock the right way. It turns it, and I'm pretty sure that binds up the shock. You'll see what I'm talking about. Quick Reply: Lift Install - finally!